When you see a title like "Pulling Your Sword Out Of The Devils Back", then you know sub-consciously that you’re pretty much halfway to liking what you’re about to hear! 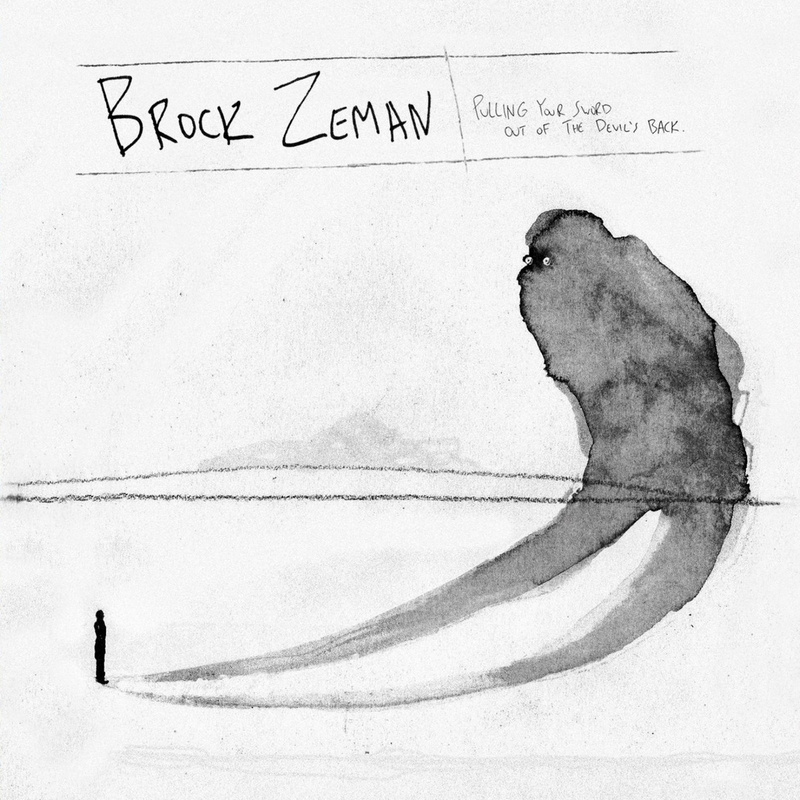 Whatever de-mons Ottawa area singer songwriter Brock Zeman has running around in his astutely quixotic mind, this collection of songs (his 11th album by the way! ), I’m guessing, goes a long way to relieving the angst caused by said demons. This is a very powerful statement of intent by a songwriter ploughing single-mindedly in a direction that renders neat genre-categorising reviewers redundant, taking the listener from melodic country-americana, to dirty electric blues, via sweet acoustic musings and back to jaw-dropping songwriting genius! The spirit and soul of this passionately written album are best summed up by the opening lines of the opening song (and title track - a song that sees Zeman speaking rather than singing, a song that has no chorus, and no clear melody, a song that just blew me right away with it’s passion and hon-esty) - "I guess it’s just one of those nights. It’s like you got a thorn in your guts, and the only way you can pull it out is to write….well I live in a house full of ghosts that just won’t let me be…". This whole album is Brock Zeman "pulling the sword out of the devils back". It’s up close and personal, sometimes uncomfortable, thought-provoking, empathetic, sad, happy, dark, bright….yet always compelling listening. "Walking In The Dark" sees Brock exploring relationship differences, from a personal point of view, but also in the wider metaphorical sense - "she loves those city lights, and I like walking in the dark". Radio friendly for sure with that recurring melodic motif, maybe not as shot-through-the-heartache as say "10 Year Fight", but nevertheless a song that touches a little nerve, forces a wry smile, draws you into his world and oddly leaves you smiling at the close! The gravelly Waits / Earle vocal resonance is reassuring in its sincerity through the honesty and po-tency of the lyrics. "Little Details" feels like an intrusion into the writer’s personal life - "I remember all your little details, from your bed-head to your tiny tiny toenails, the way that you talk when you’re sleeping", but chimingly tuneful guitar and a chorus to die for, ensures that the heartbreak is wrapped up neatly in a sachrarine-coated americana pop pill. And therein lies the cogent strength of this album. Zeman doesn’t pull any punches. Here is a writer unafraid to lay his very soul bare for all to witness. The listener is privy to his failures, but crucially to his victories as well. Set that to a musical landscape that is just as fearless in it’s approach taking broad strokes across the spectrum, and what we have is an album that is immediate, appealing and guaranteed (deservedly so) to bring his music to a wider audience. When I think of great Canadian songwriters, I think Dennis Ellsworth, Fred Eaglesmith and Leeroy Stagger…I just added Brock Zeman to that list.